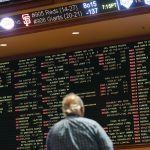 A new study suggests that US sports leagues are poised to rake in a combined $4.2 billion annually thanks to legalized sports betting. 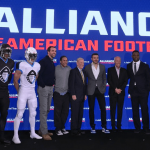 The study, which was funded by the American Gaming Association and executed by Nielsen Sports, shows that the four major professional leagues will make massive financial gains, even if they don’t get a cut of the actual bets being placed on games. It’s a favorable spot to end up in for the leagues, considering they mostly opposed efforts to legalize sports betting. 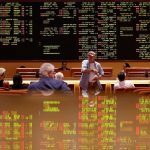 In May, the US Supreme Court threw out a federal law which banned all non-Nevada States from offering legal sports wagers. In the months since, five states have jumped on board by offering their own regulations around the practice, and another 18 have either introduced or passed new sports betting bills. 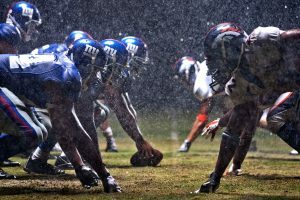 As the biggest player in the North American sporting space, it’s no surprise that the NFL stands to see the biggest gains from sports betting. The study suggests that the NFL will account for more than half of that $4.2 billion figure by reaping an extra $2.33 billion in annuals revenues. Other leagues will benefit on smaller scale. Major League Baseball (MLB) projects to make an extra $1.11 billion per year. The NBA will take in about half of that, with an extra $585 million flowing into their coffers every year. The NHL is expected to make the smallest gains at additional $216 million. And while MLB continues to push for a direct cut of the betting – whether it’s labeled as an integrity fee or a royalty – it turns out that the profits will roll in regardless. Almost all of that cash will come from indirect revenue instead. $3.28 billion from media rights, sponsorship, merchandise, and ticket sales. $596 million from TV ad revenue from gaming operators. $267 million sponsorship from gaming operators. $89 million in data and video revenue. Before the Supreme Court ruling, the NFL was crystal clear in its stance. “We strongly oppose legalized sports betting,” Commissioner Roger Goodell said when announcing the Oakland Raiders’ move to Las Vegas. However, the league wasted little time in taking advantage of the new regulatory landscape. Last month, the Dallas Cowboys became the first NFL team with a casino sponsor when it partnered with the WinStar World Casino and Resort in Oklahoma. 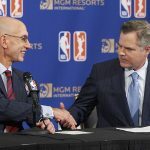 The NBA was always more supportive of sports betting than the NFL, and in August, it signed a landmark deal by making the MGM its official gaming partner. NHL commissioner Gary Bettman was clear in his displeasure with legalization, but that didn’t prevent the Vegas Golden Knights from entering into a sports betting partnership with bookmaker William Hill. Meanwhile, MLB continues to ask for a direct cut of the gambling take. At the recent Global Gaming Expo in Las Vegas, executive VP Kenny Gersh pushed Nevada regulators for a 0.25 percent fee to help protect the integrity of its games. This is a lot of money that the NFL and the NHL will be making ! So, why were they against the betting in the first place – this was not explained in this article. Also – the money that is being generated with all the side effects from this should make them happy. Why would they be offended at making more money is beyond me. not that they don’t make enough in the first place.